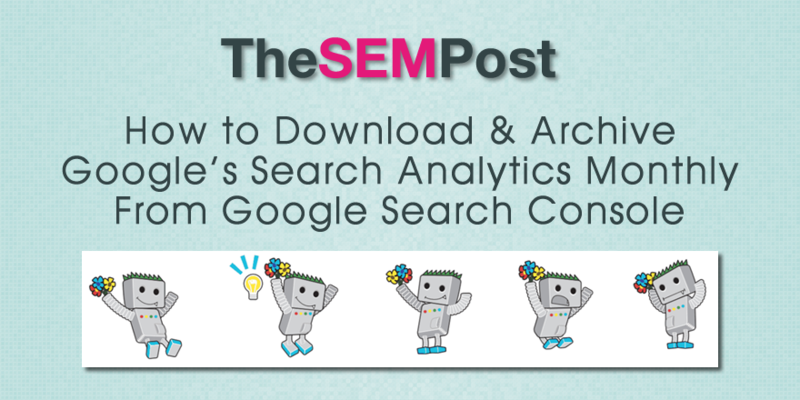 Google has released their brand new Search Analytics API, and Google’s John Mueller highlighted one of the new tools someone has created with it – a tool that will automatically download directly from Google Search Console the data in Search Analytics. Google’s Search Console (formerly Webmaster Tools) is one of the only real ways for webmasters to get their organic keyword referrals from Google since the (not provided) chang. But one of the major pain points is that it is only available for the most recent three months until that data is purged. Paul Shapiro has made available a new Python script for downloading via the new Search Analytics API (make sure you use the second one, as the first one uses the old deprecated Webmaster Tools API). If you are unfamiliar with using Python scripts, be sure to read the entire article. For those SEOs wanting to keep an easy archive of their search queries from Google, this script makes that job easy, and the data can then be used for spotting trends, comparing keywords year over year or for specific holidays and to also make it easier to identify lost keyword opportunities, especially for smaller sites.